If you love your Instant Pot as much as I love mine, then you’ll definitely understand why having a second pot is helpful! I have two instant pots so that I can double on batches or cook two different dishes at once. Even if you don’t want to appliances hanging out on your counter, having a second pot is perfect when you haven’t had a chance to do the dishes or if the first pot is being used to serve or store. 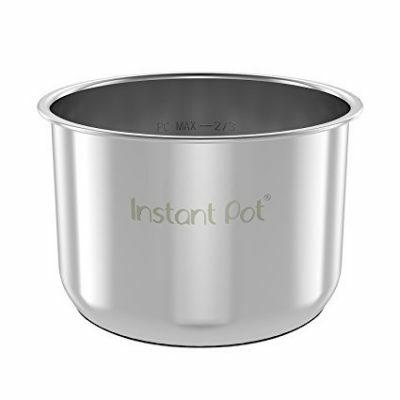 Right now, get the Genuine Instant Pot Stainless Steel Inner Cooking Pot – 6 Quart for only $22.46. That’s 25% off the listed price and the best price on record for this popular product!